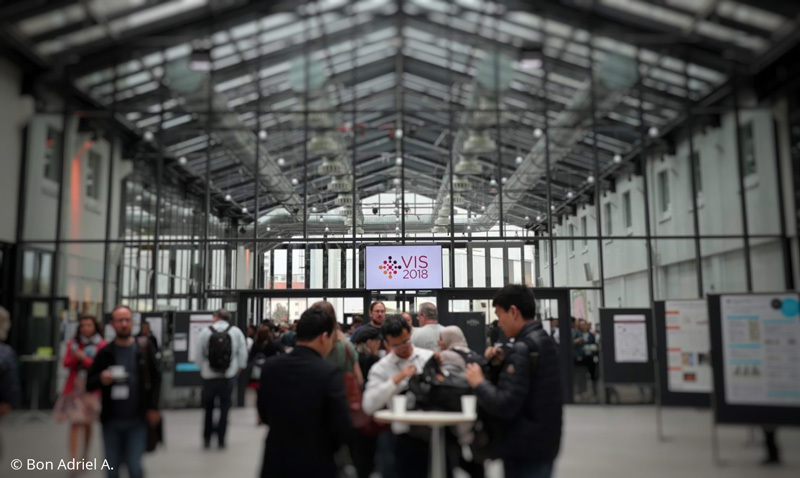 For the second time in its history, the IEEE VIS conference took place in Europe: from October 21 to 26, researchers, students, and practitioners from all over the world came together in Berlin to present and discuss the latest developments in visualization research. From the Interactive Media Lab, Ricardo Langner, Tom Horak, and Raimund Dachselt participated and presented our own work. On Wednesday, Ricardo gave a well-received talk on our paper evaluating Multiple Coordinated Views at Large Displays for Multiple Users. Later on Wednesday, Tom and Ricardo showed two posters during the poster session: Comparing Rendering Performance of Common Web Technologies for Large Graphs and Towards Visual Data Exploration at Wall-Sized Displays by Combining Physical Navigation with Spatially-Aware Devices, respectively. 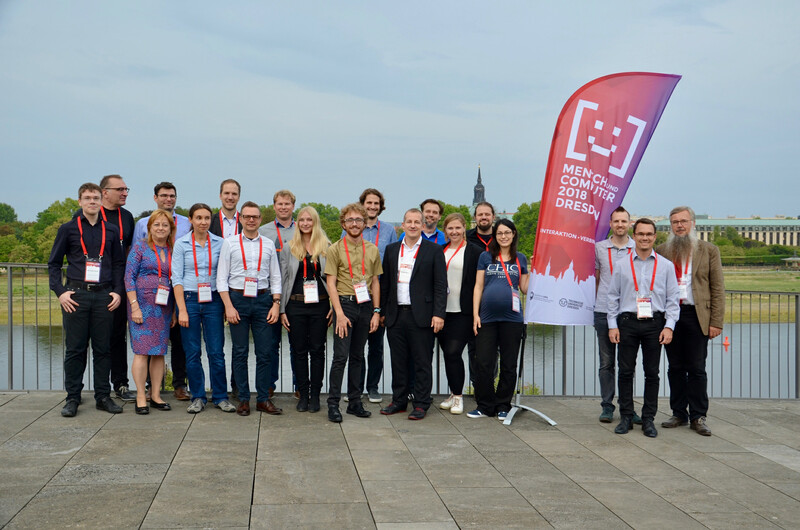 From October 14 to October 17, the 31st ACM Symposium on User Interface Software and Technology (short UIST 2018) took place at the center of Berlin, near the “Fernsehturm Berlin”. The doctoral symposium and welcome reception with great research demostratators happend at Hasso Plattner Institute in Potsdam on Sunday. UIST brings together people from diverse areas including graphical & web interfaces, tangible & ubiquitous computing, virtual & augmented reality, novel devices, and CSCW. 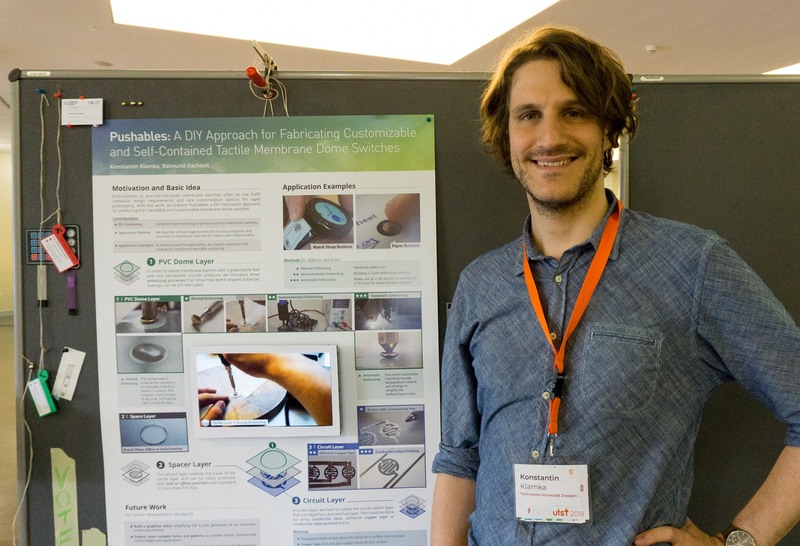 This year, Konstantin Klamka presented our DIY fabrication approach, called Pushables, that allow to easily produce thin, bendable and highly customizable membrane dome switches. The DFG funded Research Training Group 2323 “Conducive Design of Cyber-physical Production Systems” was launched in September 2018. We will conduct research in the three areas adaptation strategies for changeable systems, development and maintenance of competences as well as assessment and evaluation of human states. Research is focused on two industrial application domains, i.e., mobile agricultural systems and modular process plants. The Research Training Group is highly interdisciplinary involving PhD students from the fields of psychology, mechanical engineering, electrical engineering and computer science. For our Interactive Media Lab we are happy to welcome Marc Satkowski as a new research assistant in this RTG starting in October 2018. From May 29 to June 1, the 2018 International Conference on Advanced Visual Interfaces (short AVI 2018) took place in Castiglione della Pescaia (Grosseto, Italy). As a cooperation between several ACM SIGs, this biannual conference is hosted at different locations in Italy. This year, Ricardo Langner presented two contributions of the Interactive Media Lab Dresden. During the workshop on Multimodal Interaction for Data Visualization we showed our work “Combining Interactive Large Displays and Smartphones to Enable Data Analysis from Varying Distances“, in which we discuss first ideas and interaction concepts as part of our research project Multiple Coordinated Views at Wall-Sized Displays. 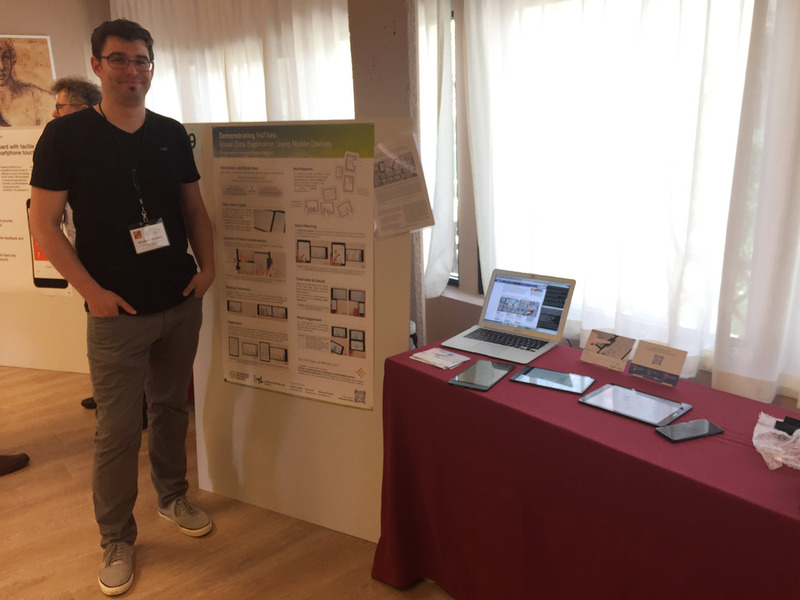 With “Demonstrating VisTiles: Visual Data Exploration Using Mobile Devices” we also presented the prototype as well as implemented visualization and interaction concepts of the VisTiles project. Some impressions of the scientific part and non-scientific program can be found in the twitter feed of the conference @AVIConference. 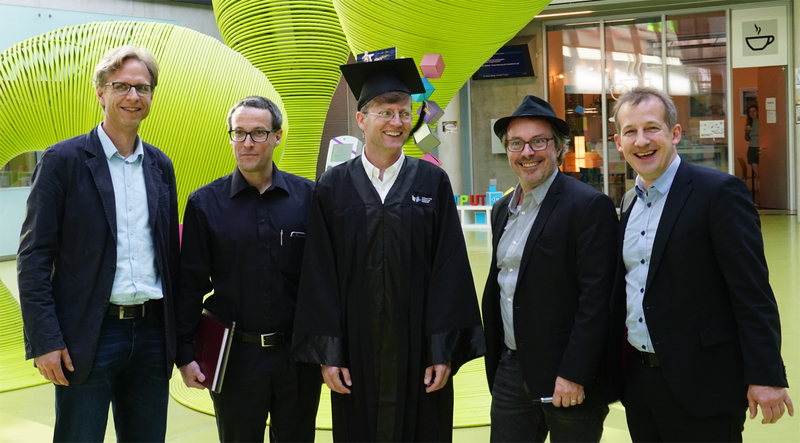 On May 14, 2018 Ulrich von Zadow successfully defended his dissertation as part of the Interactive Media Lab Dresden. Congratulations from all of us, Ulrich! The topic of his dissertation was “Personalized Interaction with High-Resolution Wall Displays” and addresses the localization of multiple users in front of wall-sized displays, the according adaptation of user interfaces, and the analysis of user behavior. We are happy that Olivier Chapuis from the university Paris-Sud, France agreed to act as external reviewer of his thesis. After Ulrich’s great talk and successful discussion of the work, the event was celebrated at a restaurant in Dresden’s city center. A small photo gallery provides a view into this special day. 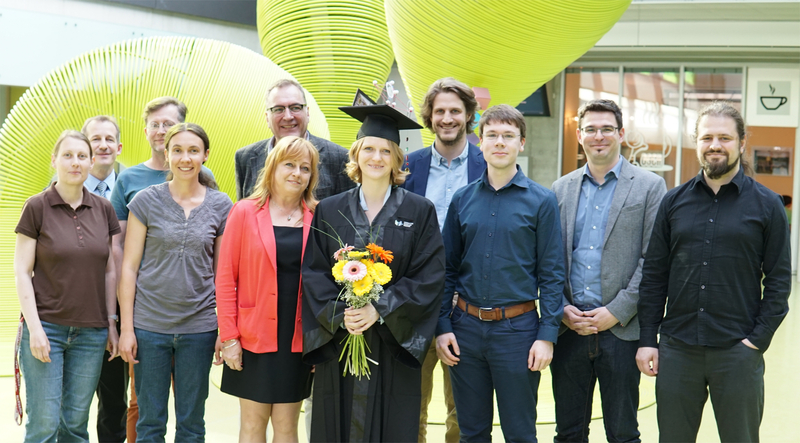 Ulrike Kister defended her dissertation on May 8, 2018 as another very successful PhD student of the Interactive Media Lab Dresden. Her topic Interactive Visualization Lenses addresses the support of data exploration for multiple users at wall-sized displays with the help of configurable analysis tools. She combines aspects of the two research fields human-computer interaction and information visualization. We are very happy that Petra Isenberg from AVIZ research group (Inria) agreed to act as external reviewer for this thesis. After her great defense, the entire Interactive Media Lab and guests celebrated at a nice restaurant near the Loschwitz Bridge. Some impressions of the great day can be found in our small photo gallery. We congratulate Ulrike Kister on her great dissertation and wish her all the best for her future endeavors. The ACM Conference on Human Factors in Computing Systems (short CHI) took place in Montréal, QC, Canada from April 21 to 26. Five of us represented the Interactive Media Lab Dresden by presenting nine contributions in total (see news). One highlight certainly was the presentation of our full paper When David Meets Goliath: Combining Smartwatches with a Large Vertical Display for Visual Data Exploration. 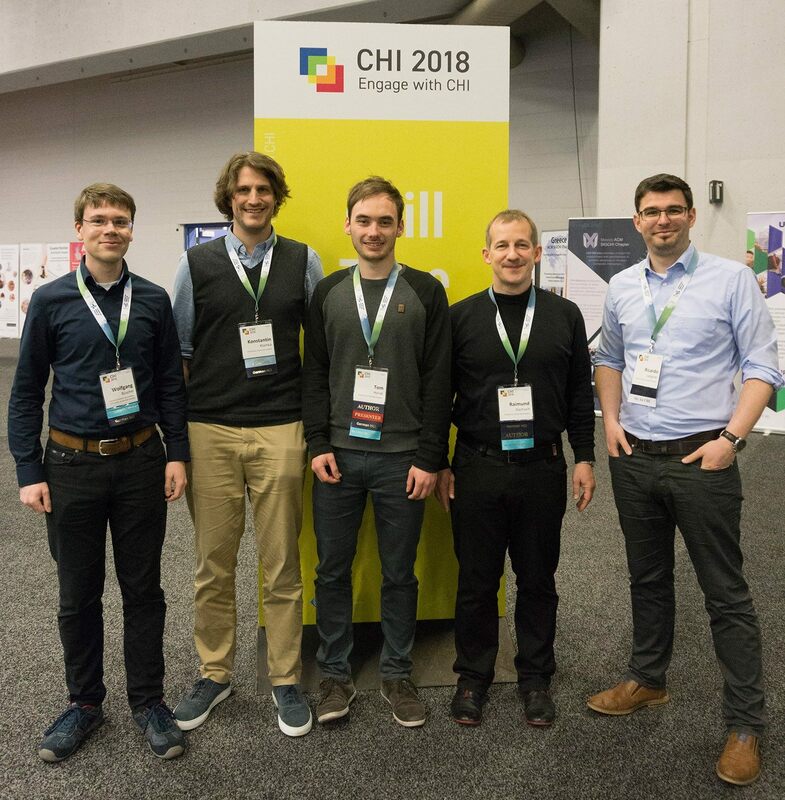 The paper is the result of a cooperation of Tom Horak and Raimund Dachselt with Karthik Badam and Niklas Elmqvist from the University of Maryland and received a Honorable Mention Award at ACM CHI 2018.